Ryokan had a reputation for gentleness that was sometimes carried to comical extremes. A famous story about him relates that one day when Ryokan returned to his hut he discovered a robber who had broken in and was in the process of stealing the impoverished monk's few possessions. In the thief's haste to leave, he left behind a cushion. Ryokan grabbed the cushion and ran after the thief to give it to him. This event prompted Ryokan to compose this haiku, one of his best known poems. 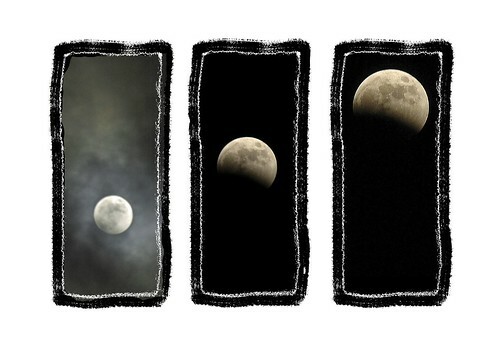 The moon is a common metaphor, especially among the Zen poets, to represent enlightened awareness. In this haiku Ryokan is laughing at the absurdity of the theft. "The thief left it behind," he foolishly couldn't recognize the one great treasure the poor monk possessed -- "the moon," enlightenment -- and, instead, took an armload of worthless junk. (To point out what a petty haul it was, Ryokan even ran after the thief with the missed cushion -- perhaps a nudge toward meditation.) Any sort of theft of Ryokan's possessions was a pointless act because, of course, who can take the moon from his window? Ryokan is amused and invites us to join in his laughter.